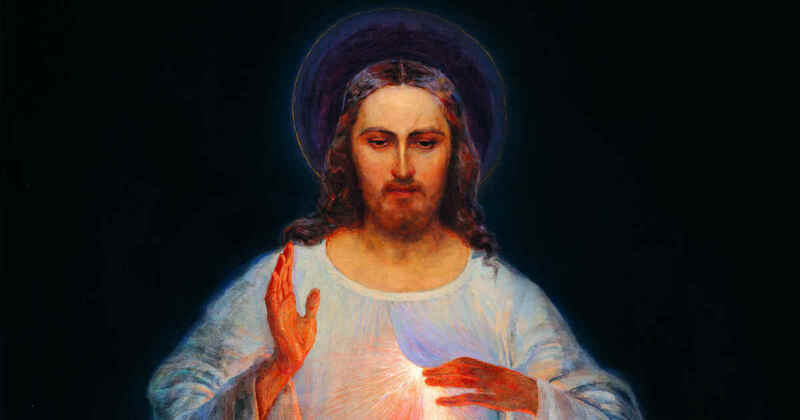 In Divine Mercy in My Soul: Diary of Saint Maria Faustina Kowalska, Jesus revealed to Saint Faustina a nine day novena that He desired be prayed in preparation for Divine Mercy Sunday. The novena was to begin on Good Friday and be prayed each day of the Triduum and of Easter Week in preparation for the glorious Feast of Mercy which was to take place on the Eighth Day of Easter (The Sunday after Easter Day) (See Diary #1209-1230). During this novena that Jesus Himself revealed to Saint Faustina, He asks that each day be dedicated to prayers for a different grouping of people. The novena below comes from these private revelations of Saint Faustina as recorded in her Diary of Divine Mercy. I desire that during these nine days you bring souls to the fount of My mercy, that they may draw there from strength and refreshment and whatever graces they need in the hardships of life and, especially, at the hour of death. On each day you will bring to My Heart a different group of souls, and you will immerse them in this ocean of My mercy, and I will bring all these souls into the house of My Father. You will do this in this life and in the next. I will deny nothing to any soul whom you will bring to the fount of My mercy. On each day you will beg My Father, on the strength of My bitter Passion, for graces for these souls. 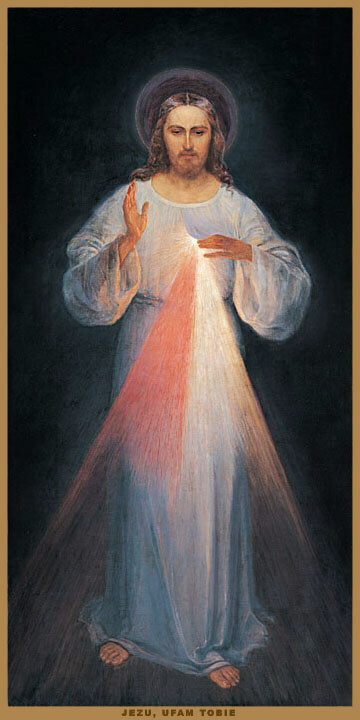 After the prayer and meditation each day, the Chaplet of Divine Mercy and the Litany of Divine Mercy should be prayed. You aid those who treat You with humility. Now pray the Chaplet of Divine Mercy and the Litany of Divine Mercy. Eternal Father, turn Your merciful gaze upon the souls who glorify and venerate Your greatest attribute, that of Your fathomless mercy, and who are enclosed in the Most Compassionate Heart of Jesus. These souls are a living Gospel; their hands are full of deeds of mercy, and their hearts, overflowing with joy, sing a canticle of mercy to You, O Most High! I beg You O God: Show them Your mercy according to the hope and trust they have placed in You. Let there be accomplished in them the promise of Jesus, who said to them, I Myself will defend as My own glory, during their lifetime, and especially at the hour of their death, those souls who will venerate My fathomless mercy..
All rights reserved: © Text compilation – Urszula Grzegorczyk Consultation – Sister Maria Kalinowska, The Congregation of the Sisters of Merciful Jesus. Image of Divine Mercy – All rights reserved. © The Congregation of the Sisters of Merciful Jesus.